Mr. Boothby is at his best in this romance, which is characterized by unflagging interest and by most stirring adventures in which Dr. Nikola plays a leading part. 'Dr. Nikola' was considered one of the most thrilling stories ever published. For a moment after he realized the true state of affairs Godfrey was spellbound with terror. Was it just possible that he would be able to head the horse off from the pit? ... it would be the end of all things as far as Miss Devereux was concerned. 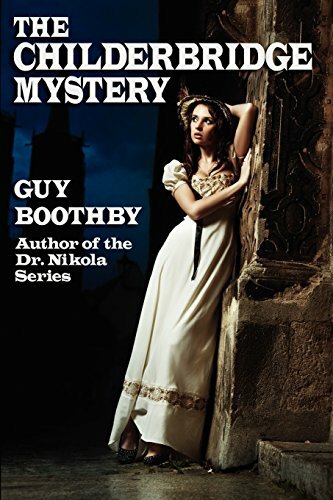 by Guy Boothby - D. Appleton and Co.
Richard Hatteras rescues a lovely young woman in distress, the start of a series of events that sees him falling in love and becoming ever more entangled in the machinations of the shadowy Doctor Nikola, who will stop at nothing to steal his prize.